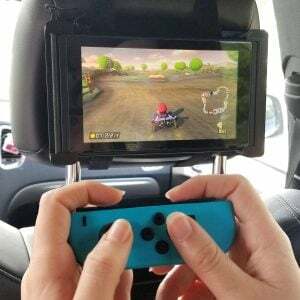 Now you can play your favorite games on road trips like never before with this Nintendo Switch headrest mount! Simply slide the Nintendo Switch tablet into the mount and you’ll have the perfect companion for long trips in the backseat. Although it doesn’t hold any Pokemon, this Pokeball does have rechargeable batteries and a wireless range of 20 feet! The Pokeball Bluetooth speaker lets you stream music through your computer, phone or any other Bluetooth devices. Casually crush the parasitic forces of evil in style with the complete look of Parasytes most badass high schooler. Shinichi Izumi’s iconic toggle coat makes a swanky piece of attire for those who like to cosplay whenever possible. Have you ever wondered what a family of Pokemon would look like in the wild? 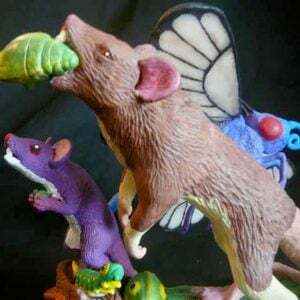 This artist has taken realistic Pokemon sculpting to a whole new level by creating a scenes that gives the game a touch of the real world. Who can aid you in doing laundry better than Captain Levi? Japanese laundry detergent brand Kao teamed up with Attack on Titan to produce a limited-edition laundry detergent. The package features Captain Levi who’s notorious for being a neat-freak. Gotta catch all that morning coffee! Help liven up your workday with this stylish ceramic mug that’s shaped just like a Pokeball. A great way for any Pokemon Trainer to start the day and enjoy their daily dose of caffeine.